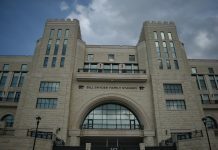 After a dissapointing game against South Dakota, K-State seems to still be struggling in all aspects of the game. In particular, the Wildcats didn’t seem prepared for the offensive matchup between Mississippi State. 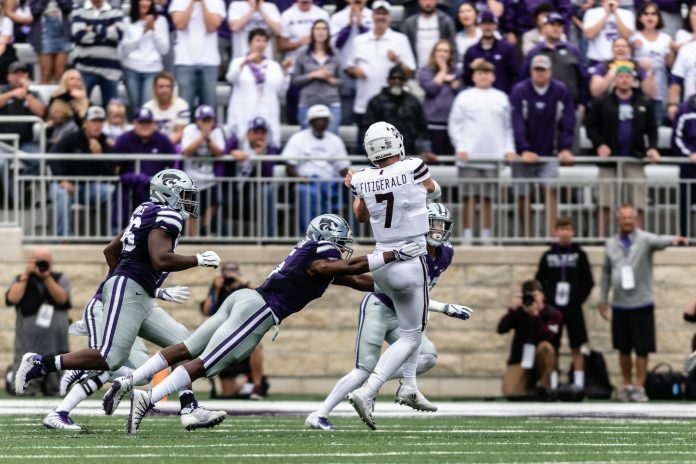 While coach Snyder said that their linemen were going to be “big and aggressive” during Tuesday’s press conference, the Wildcats did not seem ready to handle the Mississippi State offense. The Wildcats allowed the Bulldog offense to earn 154 passing yards and 384 rushing yards for a total of 538 yards compared to K-State’s 213 yards throughout the game. Redshirt freshman defensive end Wyatt Hubert seemed disappointed with how the defense played in today’s matchup. Reggie Walker, junior defensive end, couldn’t have agreed more with Hubert. “We did improve from last week, but were not perfect and they executed on what we did wrong,” Walker said. Mississippi State head coach Joe Moorehead thought that their offense played very well. “We have to work to maintain our productivity and explosiveness while increasing our efficiency and completion percentage,” Moorehead said. I think where the Wildcat’s struggled defensively was from the fact that they hadn’t seen Nick Fitzgerald play yet this season after being suspended for one game for a violation of team rules. In order for the Wildcats to be more successful on defense, they will need to clean up their game both offensively and defensively. Coach Snyder seemed disappointed during the post-game press conference because the blitz packages that Mississippi State used during the game were identical to what the Wildcats had seen on film and had practiced. “We had executed very well during the course of the week but that didn’t happen that often today,” Snyder said. While the Wildcats still seem to have some disconnect on offense and defense, they will have another chance to redeem themselves next Saturday against University of Texas at San Antonio for their third home game. The Wildcats will kick off at 3 p.m. and can be seen on FSN.